One of my plans for this year, along with releasing a backlog of patterns from the summer onwards, is to upgrade and re-release some of my older patterns. Some have been withdrawn awaiting significant re-working, others just need an update in formatting and some extra size options. For example, my Wraparound Eyelet Shawlette is currently being re-written with 2 larger size options. The first pattern to have received this re-write and upgrading is my Bryanston Beret, previously known as the Brioche Beanie Beret. 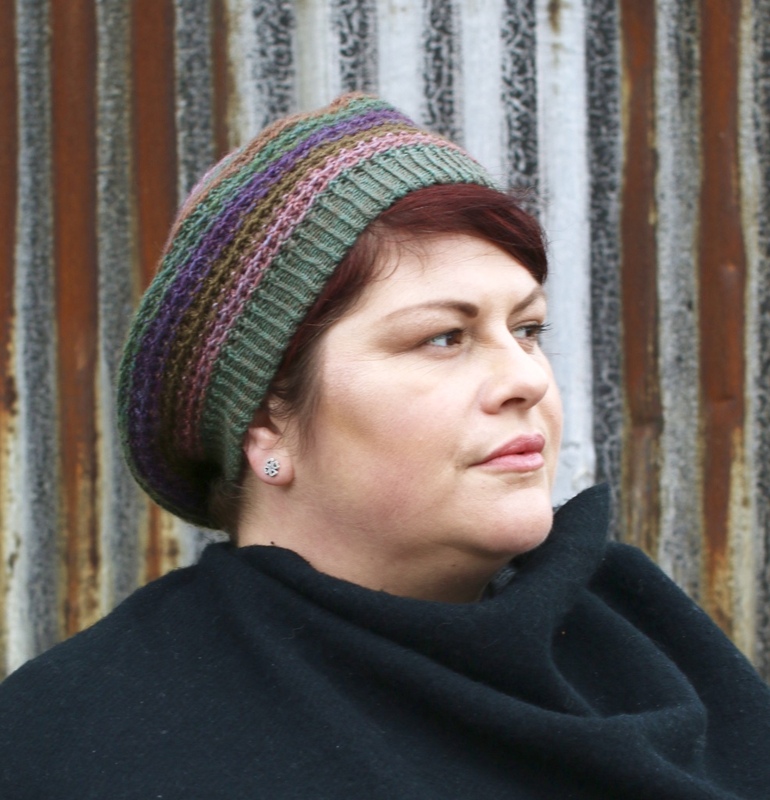 Back in 2011, I designed the original hat because I wanted a slouchy beret that would showcase the great colours that hand dyers were developing for sock yarn, often with single skein shawls in mind. The design that emerged had the added bonus of not needing very much of a striking contrast yarn to make an impact. As such it was perfect for leftovers of a favourite yarn. 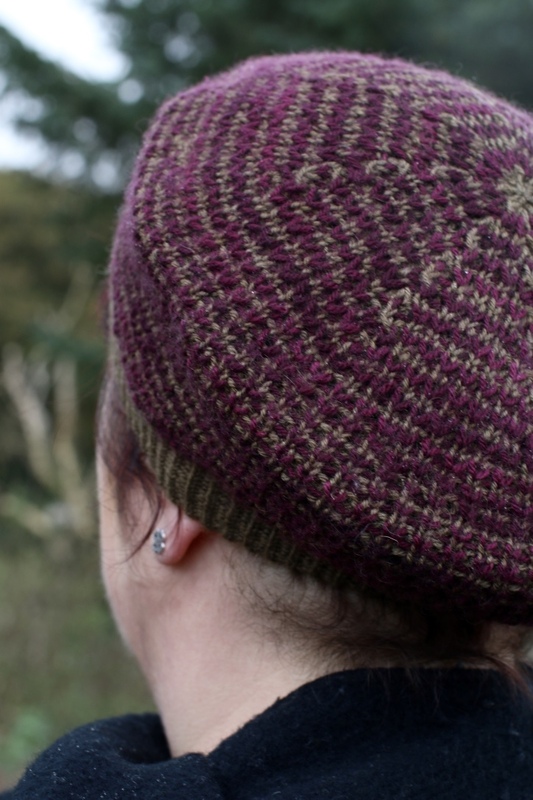 I knitted up several of these when first designing the pattern and they’ve been a firm favourite in my wardrobe since. However, the more I wore my versions of the hat, the more I appreciated the texture on the reverse side of the work. This led me to develop the ‘inside out’ version which, like the original, also allowed me to play with some lovely hand dyed yarns and develop another version of the pattern that was also perfect for those tiny leftovers of truly special yarns. This time I used stripes semi solid yarns that really accentuate the waffley texture of the stitch pattern. All these samples were knitted in Old Maiden Aunt Shetland 4 ply – I love this worsted spun shetland wool and Lilith’s colours. I also decided to rename the pattern for its re-release. 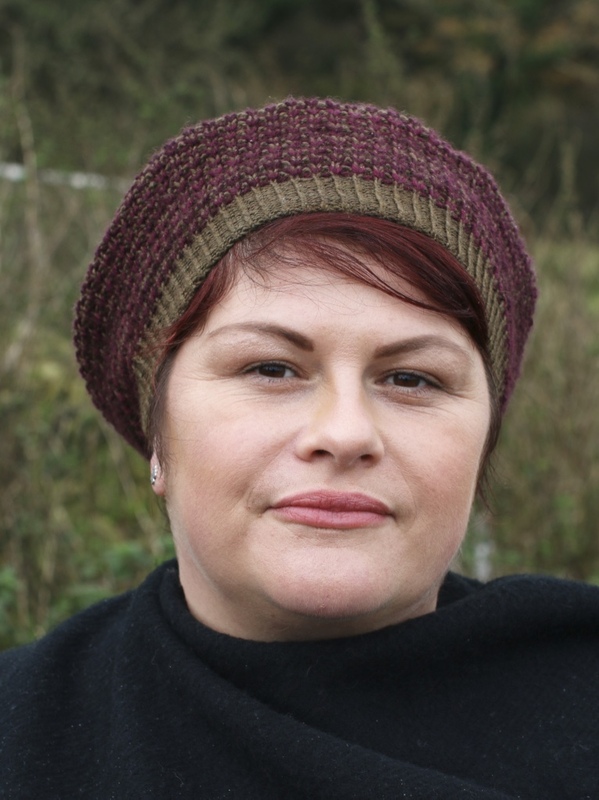 It was previously names the Brioche Beanie Beret because it could be blocked into a beanie or beret shape and it uses a variation of knitting into a stitch below that is characteristic of one form of Brioche knitting. 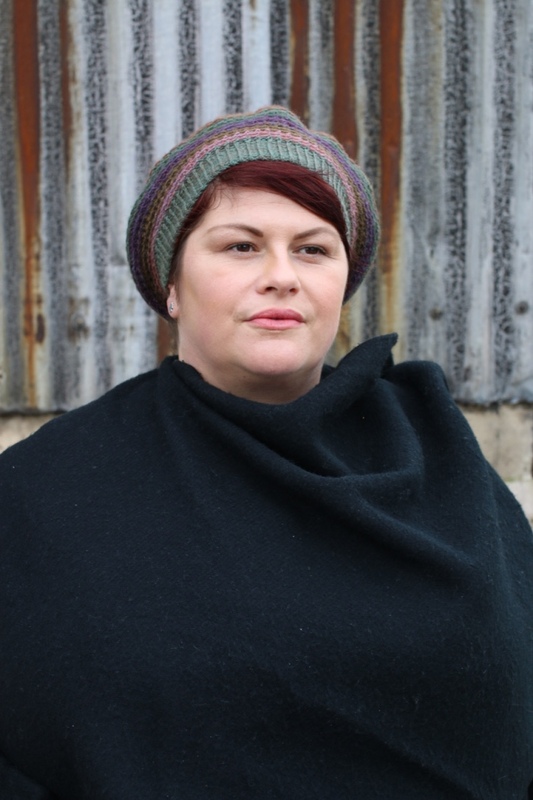 However, as brioche has become increasingly popular, the popularity of ‘yarn over’ brioche a la Nancy Marchant, Stephen West and Andrea Mowry has become more popular than the knit below variation of Elise Duvecot for example. 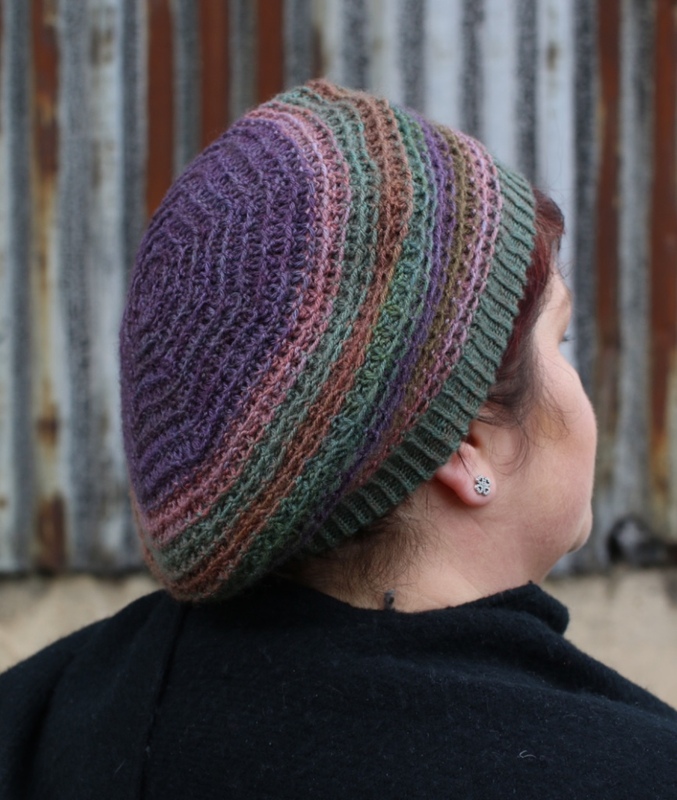 These two different ways of working brioche produces a fabric of different gauge/bounce, a characteristic that Olga Buraya-Kefelian has used to great effect through combining both methods in a single project, for example. Moreover this pattern asks you to go into the back of the stitch below rather than through the stitch from front to back. 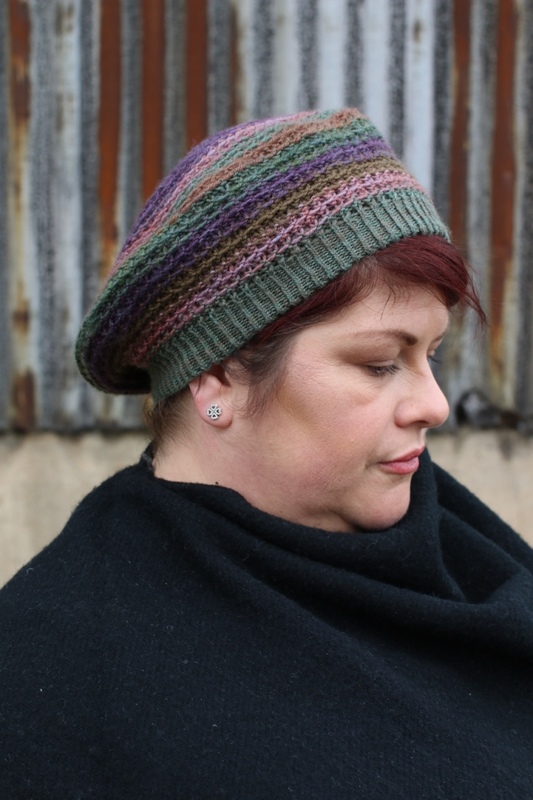 So all this is by way of suggesting that using ‘brioche’ in the name of the beret may be regarded as a little misleading as this type of fabric is not what most people will bring to mind when thinking of brioche, and it uses an uncommon variation on a brioche stitch. So why the ‘Bryanston Beret’? Well, I like the alliteration and Bryanston is a village neighbouring the one in which I grew up. I have fond memories of walking along the river to Bryanston with childhood friends and building camps in the woods between our two villages. Even now when we go back to visit family we generally walk the dogs along the river. Alternatively if you are substituting or have part skeins you will require the following to work the pattern as given. You will require extra yarn if you wish to add depth to the body of the hat. The yarn requirements for the Inside Out version below can be used as a guide; each body colour is sufficient to work 8 rounds.